West Bank, Area B and C.
96% West Bank Area C, full Israeli control over security, planning and construction. 4% West Bank Area B, Palestinian civil control, Israeli military control. With a population of 10,000 the village lies on the East side of the separation wall, within 8 km of central Jerusalem and directly attached to the Shuafat Refugee camp. The wall separates Palestinians from the Jewish settlement of Pisgat Ze’ev. The village is divided into areas controlled by the Palestinian Authority, the Jerusalem Municipality and the Israeli Civil Municipality of the West Bank. In the Israeli controlled sections residents regularly suffer from house demolitions as building permissions are expensive to apply for and rarely approved. Thousands of dunums of land have been confiscated by the Israeli authorities for different purposes, including the construction of military bases, settlements, outposts, bypass roads and the separation wall. The administrative division in the village creates unusual complications. A woman from the Jerusalem part of the village is married to a man from the Palestinian part. They live on the Jerusalem side so she can hold on to her residency. As such she has been arrested for harbouring and transporting an illegal alien; though both reside within their native village. Umm al-Khayr, Bedouin village and Carmel, Israeli settlement, South Hebron Hills. West Bank, Area C – closed military area – full Israeli control over security, planning and construction. As members of the Hadaleen tribe, the Beduoin were expelled from the Negev region after the 1948 war, by the new Israeli state. They bought the land they have since lived on from the nearby town of Yata, in the then Jordanian controlled West Bank. Israel does not recognise this land ownership. In 1979 the area was subjected to a military seizure order and declared Israeli ‘state land’. A Nahal paramilitary outpost was established on the hill top nearby. 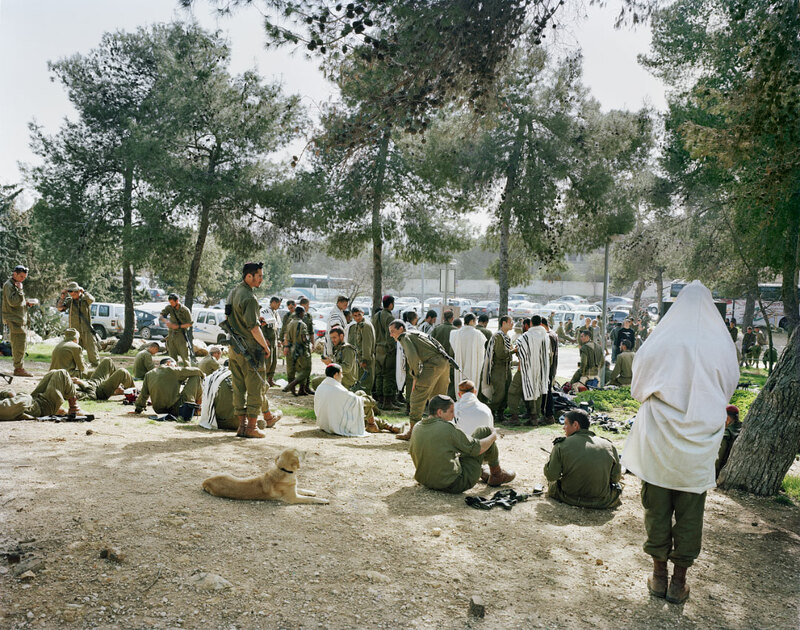 In 1981 the outpost was ‘civilianised’ as the moshav of Carmel, named after the biblical location of Carmel which is believed to have been close by. It currently has around 70 Jewish families living there. Under article 38 of the Towns, Villages and Buildings Planning Law every building in the Beduoin village is subject to a stop work or demolition order. The order specifically includes tents, outdoor toilets and a wood burning oven. The village has no link to the power or fresh water facilities supplied to the settlement. Buildings are regularly bulldozed by the state authorities and the inhabitants report being harassed by the neighbouring settlers. Towards the Jordan Valley, from the Judean Hills. West Bank, Area B – Palestinian civil control, Israeli military control. West Bank, H2 special security zone for Central Hebron – full Israeli control over security, planning and construction. Following the 1995 Oslo Agreement and subsequent 1997 Hebron Agreement, Hebron is currently split into two sectors, H1 controlled by the Palestinian Authority and H2 controlled by Israel. In H2 30,000 Palestinians along with around 700 Israelis remain under Israeli military dominance. As of 2009, a total of 86 Jewish families lived in Hebron. Palestinians cannot approach areas where settlers live without special permits from the IDF. The Jewish settlement is widely considered to be illegal by the international community, although the Israeli government disputes this. The Palestinian population in H2 has greatly declined due to the impact of Israeli security measures which include extended curfews, strict restrictions on movement, the closure of Palestinian commercial activities near settler areas and settler harassment. Palestinians are barred from using Shuhada Street, a principal commercial thoroughfare. B'Tselem states that there have been "grave violations" of Palestinian human rights in Hebron. According to Human Rights Watch, Palestinian areas of Hebron are frequently subject to indiscriminate firing by the IDF. The netting above the street is designed to prevent missiles and rubbish thrown by Israeli settlers from hitting Palestinian passers by. Tomb of Rachel and Bilal bin Rabah mosque, Bethlehem. West Bank, Area C - closed military area. The tomb, believed to be the burial place of the biblical Rachel, wife of Jacob, is a Unesco world heritage site and venerated by all Abrahamic faiths. It is considered the third holiest site in Judaism, though also claimed to be a mosque built at the time of the Arab conquest. 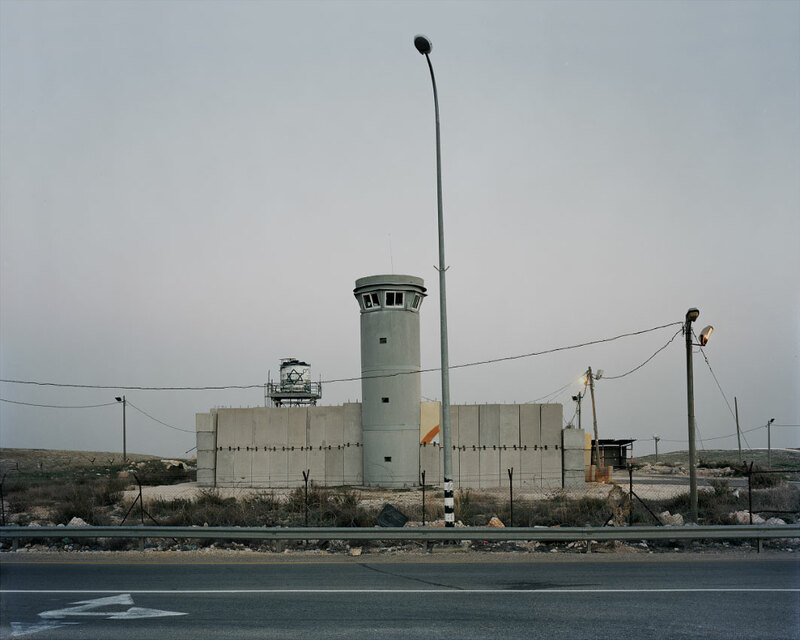 Encased entirely in concrete, the structure is technically in the Palestinian territories, but enclosed on all sides by the Separation Barrier, with access only from the Israel side. Access is limited to Jewish worshippers and tourists visiting from Israel. Beitar Illit Israeli settlement, seen from the Palestinian village of Wadi Fukin. 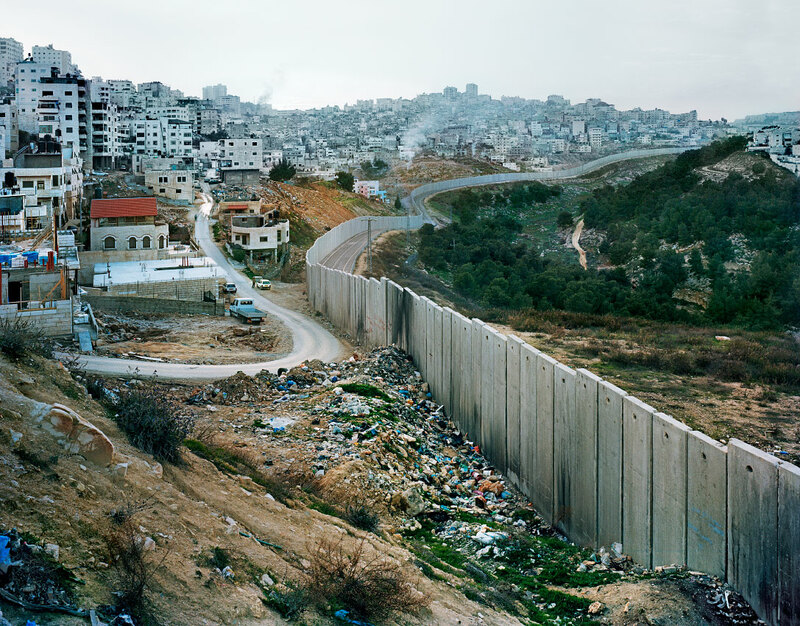 West Bank, Area B – restricted area between the Separation Barrier and Israel. Wadi Fukin – Palestinian village (foreground). 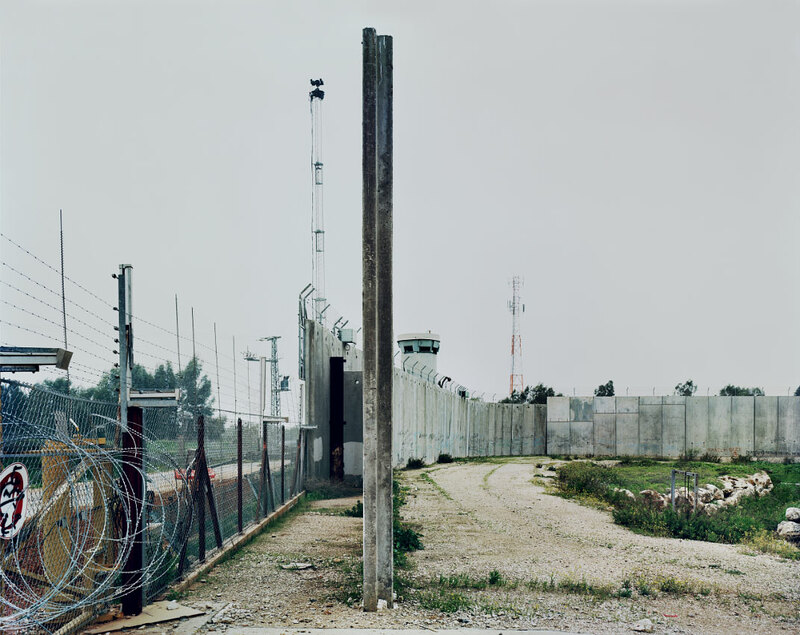 West Bank, Area B – Palestinian civil control and joint Israeli-Palestinian security control. Beitar Illit – Israeli Settlement (behind). Area C, West Bank, Area C – full Israeli control over security, planning and construction. Restricted area between the Separation Barrier and the green line. Palestinian access is limited to permit holders. 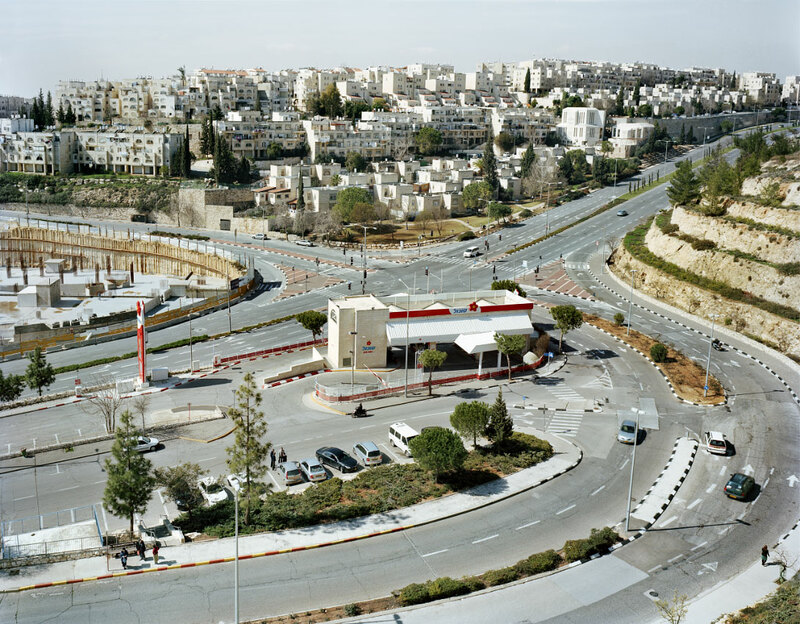 The settlement of Beitar Illit was founded in 1984, partly on land belonging to Wadi Fukin. The population is expected to reach 100,000 by 2020. It has been awarded a gold prize for sustainable urban planning and consistently wins five out of five stars for aesthetics and the environment in the Council for a Beautiful Israel’s annual ‘Beautiful Town in a Beautiful Israel’ contest. 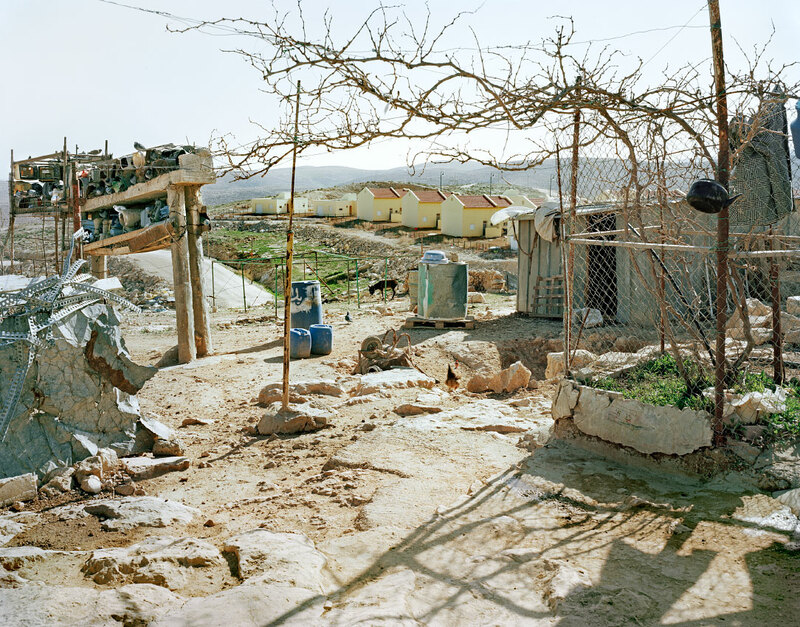 Palestinian villagers from Wadi Fukin complain that since Beitar Illit’s foundation 12 natural wells have dried up, and on the Jewish Sabbath the mechanised sewage processing plant is turned off; resulting in raw sewage contaminating village fields and orchards. Beitar Illit is considered illegal under international law, since the Fourth Geneva Convention prohibits the transfer of an occupying power's civilian population into occupied territory. Israel disputes this. 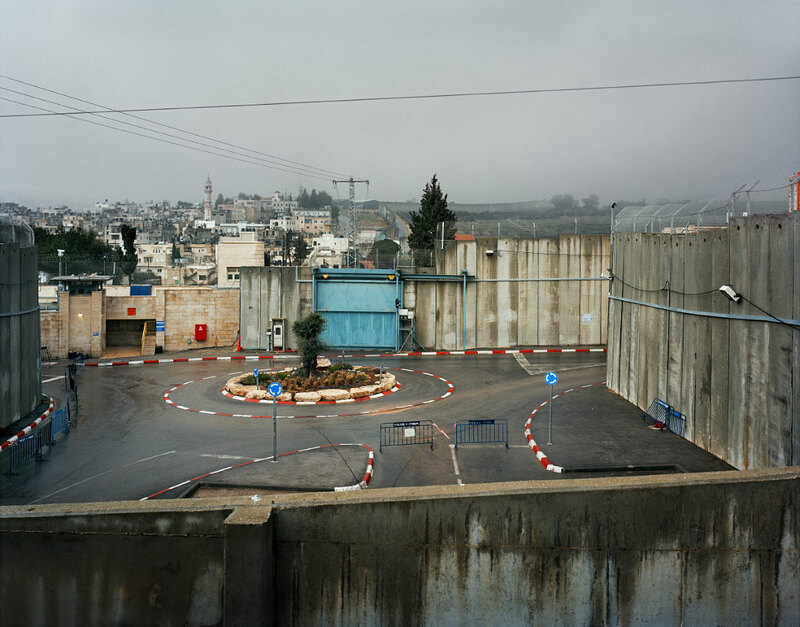 Israeli settlement, Occupied East Jerusalem. Population 40,000. One of the five ring neighbourhoods of Jerusalem, it was built on land previously in the demilitarised zone between Israel and the Jordanian held West bank. During the six day war (1967) the land was captured by Israel and unilaterally annexed to Jerusalem. According to the United Nations and European Union, due to their having been built beyond the Green Line, the neighborhoods Israel subsequently built on these annexed grounds are considered to be Israeli settlements, and as such are considered illegal under international law based on the Fourth Geneva Convention and United Nations Security Council Resolution 476. Israel disputes this. 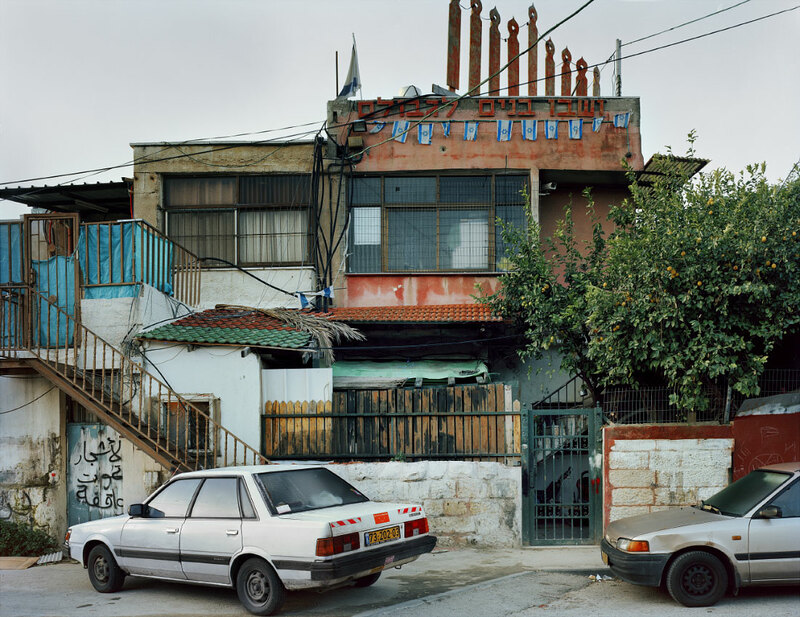 The house of an Israeli settler in a Palestinian neighbourhood. Commonly classified as religious extremists, the settlers aim is to re-establish a Jewish presence in East Jerusalem. Though their presence is considered illegal and highly provocative by peace campaigners and human rights groups, they are largely protected by Israeli law. Israeli Red Beret Paratroopers, Ammunition Hill. Ammunition Hill was the site of the fiercest battle for the occupation of East Jerusalem, between Israeli and Jordanian forces during the 1967 Six Day War. The location is now a national memorial site and induction centre for Israeli Defense Force paratroopers and is visited by 200,000 people annually. International law states that all of East Jerusalem is illegally occupied territory. Israel disputes this. West Bank, Area C – full Israeli control over security, planning and construction. Qalqilya has a population of over 42,000 people, many of whom descend from the refugees of former Palestinian villages in what is now Israel. After the conquest of Qalqilya in the Six Day War much of the population was evicted, some to Jordan, and buildings were razed. Many were later allowed to return and rebuild. Since 2003 the town has been almost entirely encircled by the Separation Barrier, cutting access to surrounding agricultural land. Three check points control all access to and from the town. Located on Route 457, at the intersection of the access road to the Palestinian Christian village of al-Taybeh and the Israeli settlements of Rimmonim and Ma'ale Adummim, the watchtower is permanently staffed, the check point is operated as and when required by the military authorities. 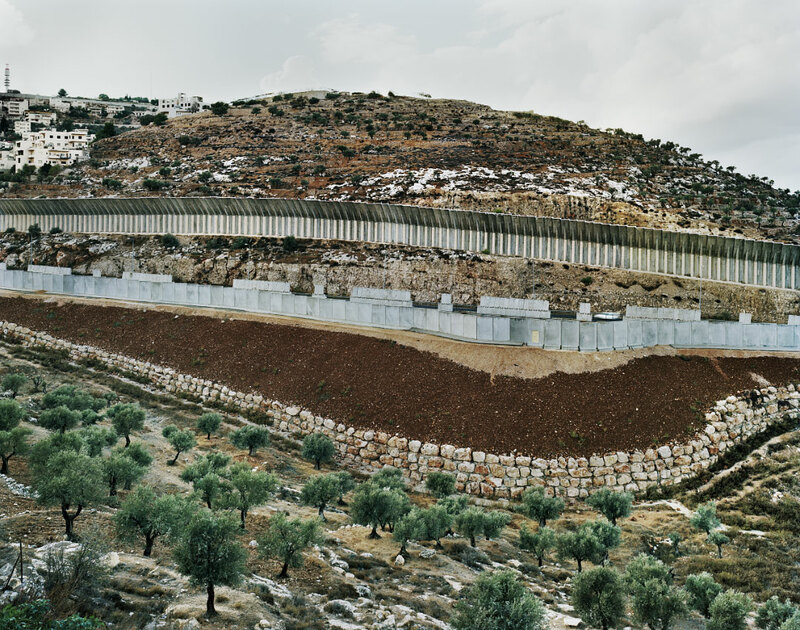 Separation Barrier – Route 60, South of Jerusalem. Route 60,, referred to as ‘the path of our biblical patriarchs’, is primarily reserved at this point for Israeli settlers. Palestinian access is limited to permit holders. The Separation Barrier flanks both sides, cutting through Palestinian agricultural land. The wall's design is intended to prevent stone throwing at settler vehicles. West Bank, Area A – full Palestinian civil and security control. West Bank, Area A – full Palestinian civil and security control. Basic services provided by the United Nations Relief and Works Agency for Palestine Refugees in the Near East (UNRWA). Dheisheh camp was established in 1949 within the municipal boundaries of Bethlehem on 0.31 square kilometres. The camp’s original refugees came from 45 villages in the western Jerusalem and western Hebron areas. Like other West Bank camps, Dheisheh was established on land UNRWA leased from the government of Jordan. It currently has 13,000 registered refugees. While all shelters are connected to public water and electricity infrastructure, 15 per cent of the shelters are not connected to the public sewerage system, instead using latrines connected to percolation pits. A third of people are unemployed, with job opportunities restricted by the inaccessibility of the Israeli labour market. 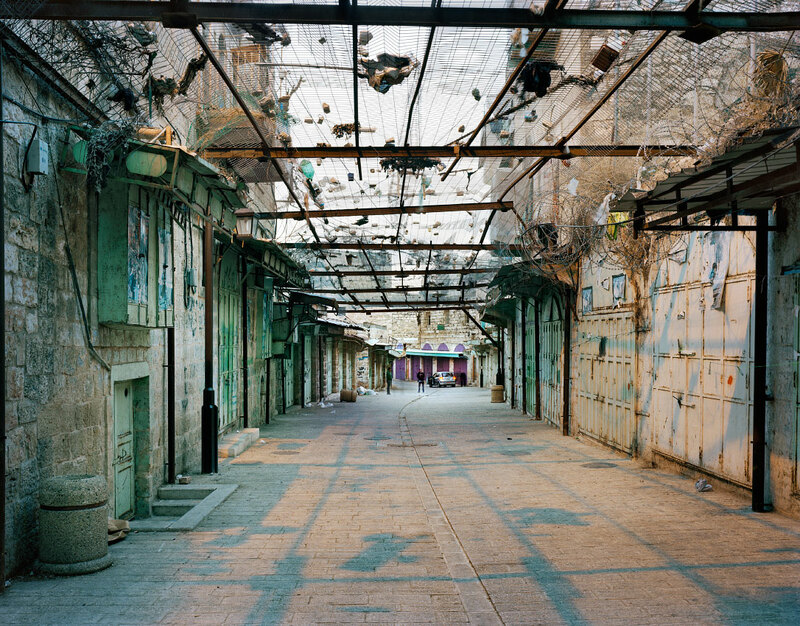 The camp was heavily affected by the second intifada. Access road to the Palestinian village of Majdal Bani Fadil. The Israeli built road barriers were kept closed during the second intafada, some are now left open but the infrastructure remains. Road gate. Route 35, Hebron Hills. Route 35 is a main road from Israel to the settler communities living in and around Hebron. 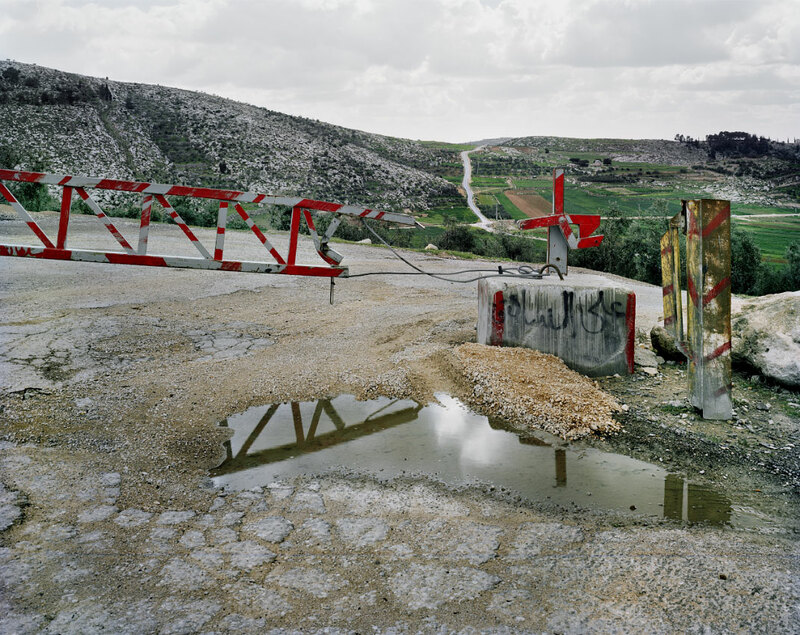 The road gates are used to prevent Palestinian vehicular access to main highways, limiting their movement to minor roads. An Israeli campaign group has estimated that access to over 312 kilometers of road in the West Bank is restricted or forbidden for cars with Palestinian number plates. Gun emplacement over looking Bethlehem. The origins of these photographs lie in a pine forest, walked through at the start of my first visit to Israel where, by a stream, I came across the unexplained crumbling walls of seemingly ancient structures. A plaque erected in 2004 by the Jewish National Fund of Canada declared this “an oasis, a recreation area, a place of water, of hope, of peace, of vision”. Later I saw a film online depicting a recent visit to the same setting by Israeli Palestinian citizens. Elderly men recalled that as children those walls had been their village, the terraces their fields, the water their spring; they had been expelled in the ‘Nakba’ (disaster) of 1948, the village flattened, their right of return refused, the planned forest of imported pines slowly obscuring their former world; traces of their presence cleansed. Such divergent responses to one place seemed a striking allegory for the broader discordance in this land. 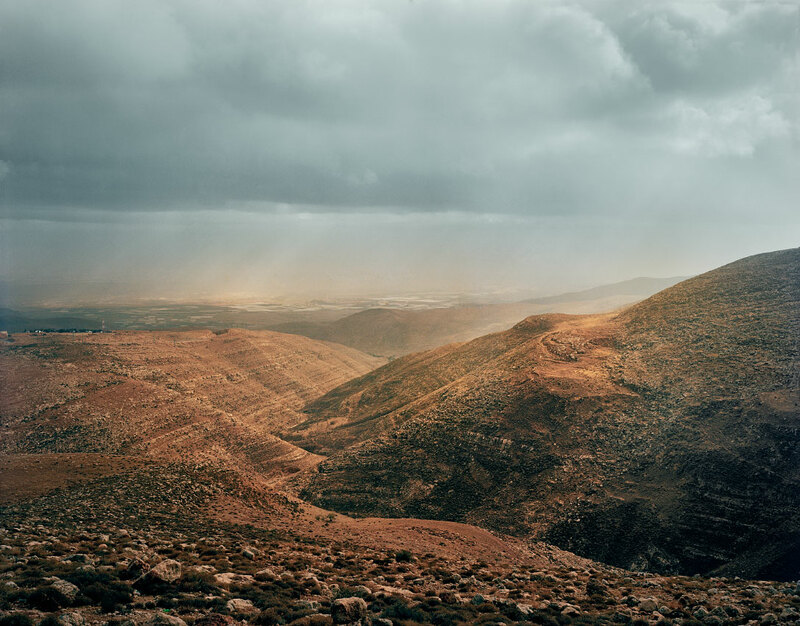 With my curiosity for history and topography roused I started to look for the remains in Israel’s landscape of the former British Mandate of Palestine’; promised as a homeland to such different peoples. As in that first forest, crumbling remains became evident. But despite the preponderance for memorials and information boards through out the country expressing biblical, crusader and modern Israeli history, there were few explanations of these places. That history appeared obscured, their story little known. 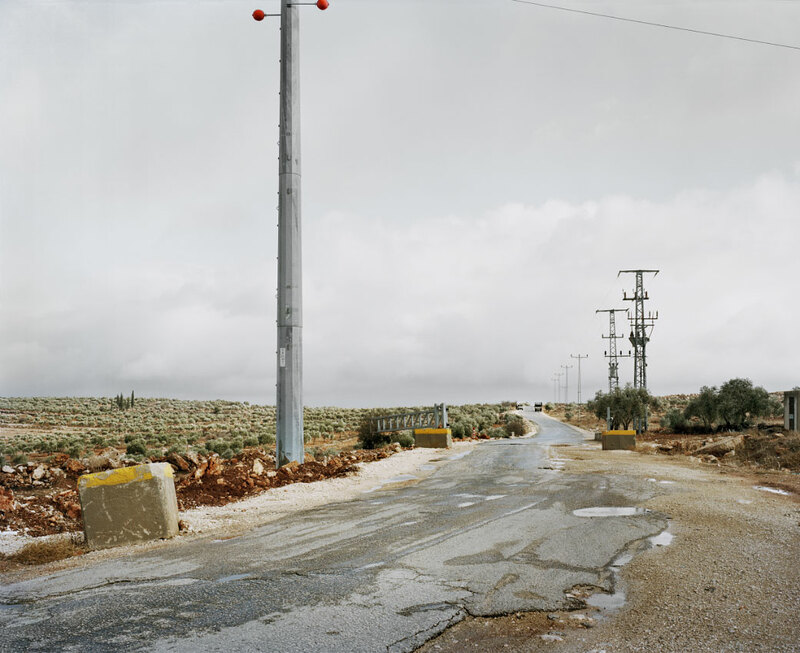 That still remains (Part I) probes the now historic Palestinian presence in much of Israel and reflects on the sense of ‘Nakba’; documenting the remains of some of the 400 or so villages that were depopulated and then demolished as a consequence of the 1948 war, and later conflicts. 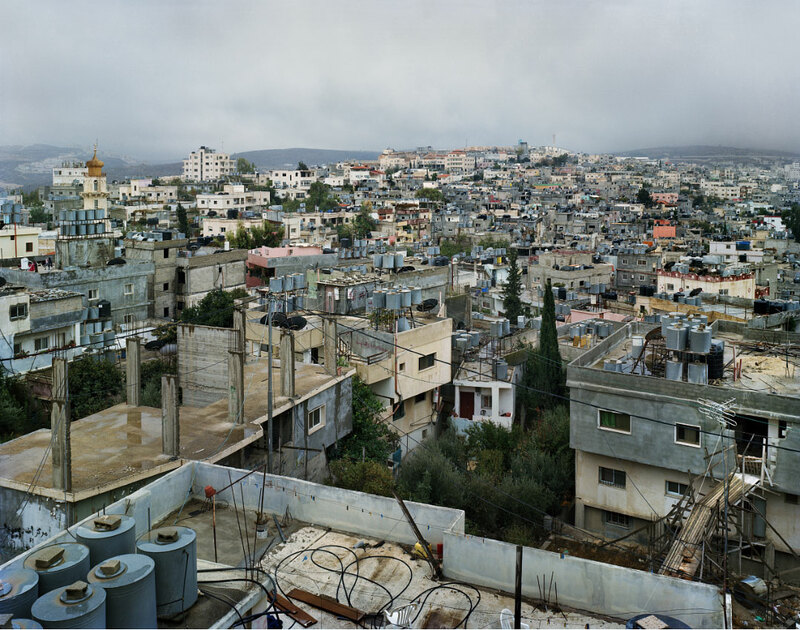 Each picture records the location of a former Palestinian village or town; accompanying captions present brief village histories, recording the occasion and consequence of conquest. The name and district given is that current during the mandate period. Though the landscape is now renamed and reinterpreted these now historical places remain pertinent in the consciousness of the diaspora. When the time comes (Part II ) moves forward to explore the contemporary landscape of the labyrinthine West Bank, a would be ‘Palestine’ as concieved by the Oslo peace accords, but which has failed to materialise in any meaningful form; documenting the fabric of conflict in a land zoned into multiple and convoluted ‘areas’, divided by walls and fences, halted by checkpoints and road blocks, reduced by settlements. Each of the parts stand alone, separated both by time and location – together they work as bookends of the period of time since the foundation of Israel, encapsulating something of the story of Palestine. 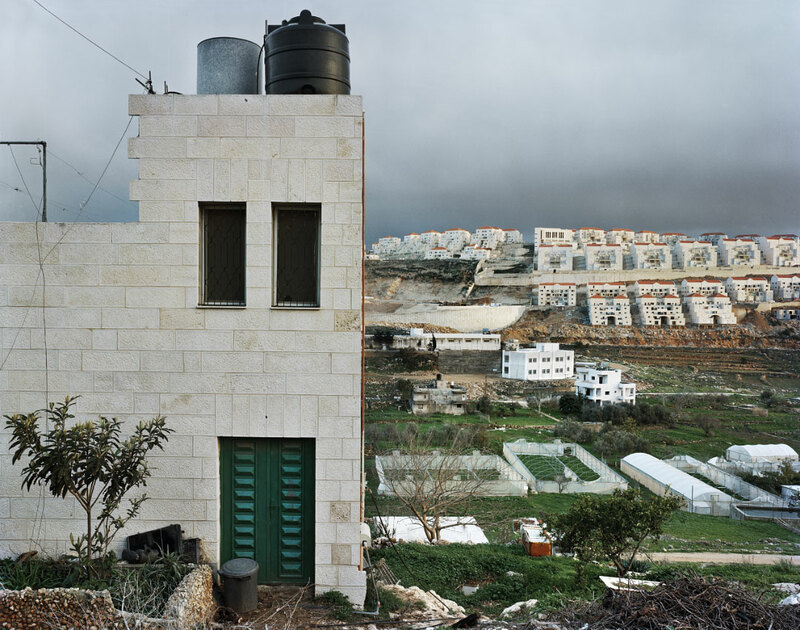 Comprehending the history evident in part I helps understand how the landscape of the contemporary West Bank has evolved. They are perhaps as two small pieces in a complex puzzle, joined in the need to see more of the picture. Research for the captions in part I was drawn primarily from the writings of Israeli ‘new’ historians who methodically analysed military and state archives, and soldier testimonies. 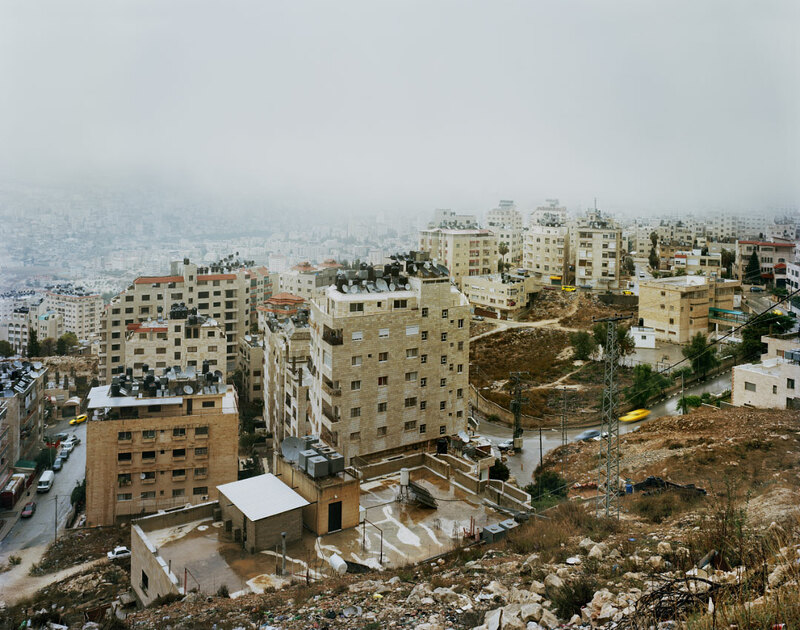 In part II the captions reflect the convoluted settlement that evolved from the Oslo Peace Accords, zoning the land into alphabetical ‘areas’, intended as a step towards nationhood that has proved faltering and inconclusive. 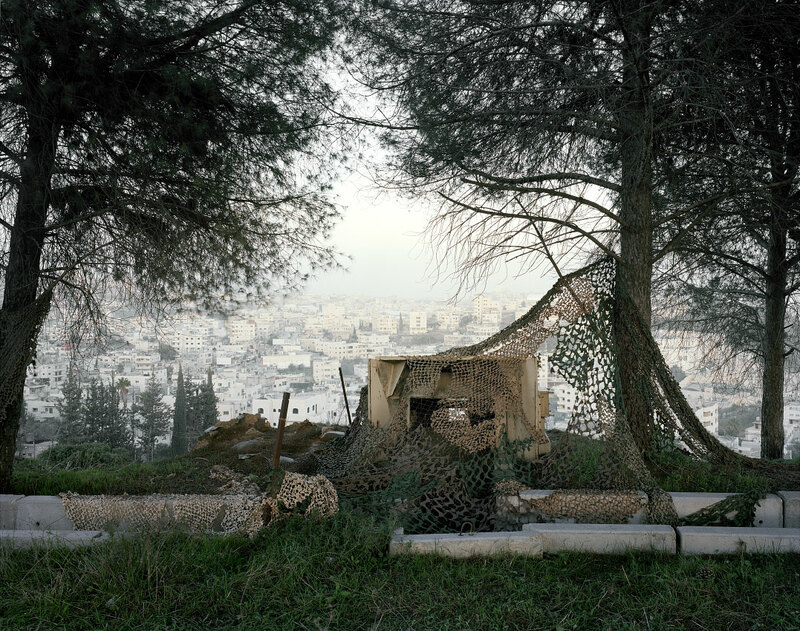 In contemplating the enduring notion of ‘Palestine’ the intent is not just to chronicle history and landscape; also to comprehend in part that which evolved and reverberates still. 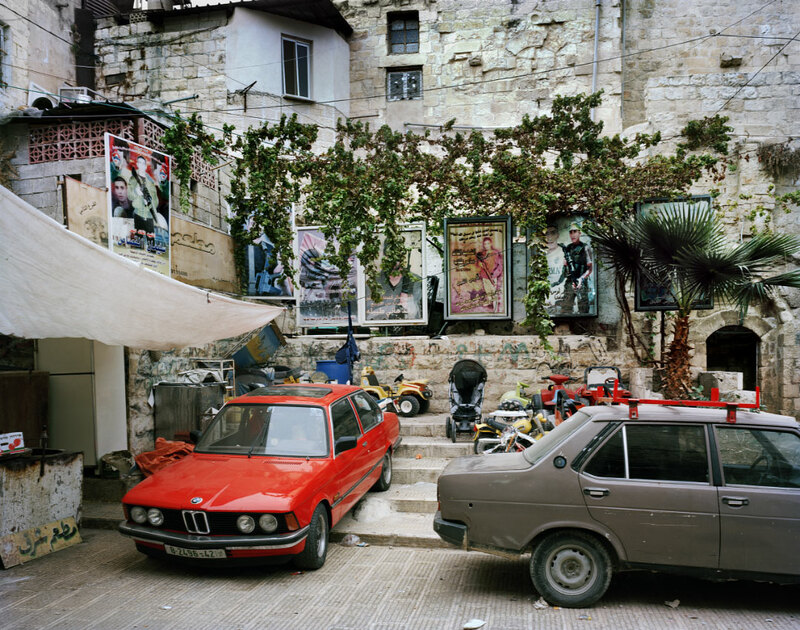 Time and Remains – of Palestine is published by Kehrer Verlag (March 2016) with an introduction by Raja Shehadeh (192 pages, 30 x 24cm, 95 colour plates).